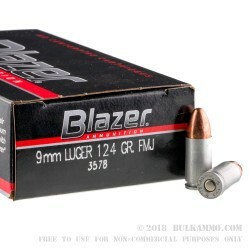 Blazer’s Aluminum cased 9x19 cartridges have been a range round mainstay for decades. It was innovative then, it’s just good sense now for most of what you’ll do on the range with it. 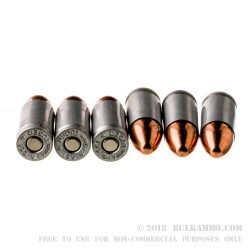 The cheaper aluminum helps cut down on wasted brass and copper (used to make brass), saving you money and using a more plentiful resource (aluminum) to deliver exactly what you want in a range ammo. It’s hot enough to function in any firearm; it’s also not necessary to pick up your brass and it saves some of the headaches associated with reloading. Don’t forget, with the price of this ammunition, it’s not like you were seriously going to reload your 9mm Luger range rounds anyways right? This is a 124 grain full metal jacketed projectile that has the common 9mm conical bullet shape. It features a Berdan primed Aluminum case because, once you shoot these rounds, they ought not to be reloaded, and some people were recognizing that the case was still in great shape after a single firing, so they were attempting to reload these, but CCI never intended for that to happen. It just doesn’t make sense on so many fronts. 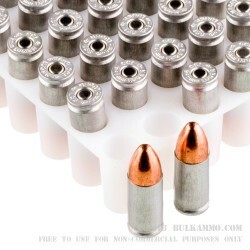 Use if for the range, for target practice or plinking, but enjoy not picking up the spent casings. Save your time and buy more Blazer to shoot for practice. Want to stack this even deeper? 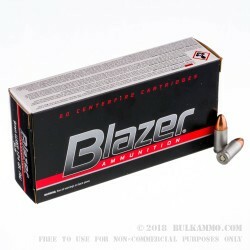 Pick up a full bulk case of this same Blazer 9mm here. Best Plinking Ammo I have used. You always get what you pay for. Out of 200 rounds i only had a 3 duds. I wouldn't bet my life on the stuff, but it is perfect for practice and is super cheap. Q: How does CCI ammo compare with others as far as clean burning? I've used CCI primers in the past and have found them to perform flawlessly so I would anticipate that their ammo would perform just as well. A: CCI ammo is remarkably clean. You will not be spending very much time cleaning your firearms after you shoot this ammo.